We’ve all been talking about ‘the cloud’ for so long, but what does it mean for your business and the future of POS software? The reality is that cloud-based POS systems have a huge amount of benefits for business owners like yourself. Here are 10 reasons why a cloud based POS is the best point of sale system in Nigeria. Are you sick of your traditional POS system and thinking of moving over to ‘the cloud’? This could be one of the smartest decisions you’ll make for your business. Cloud-based POS systems allow you to access your service via the internet and store your data online. They are essentially the best point of sale system in NIgeria and this is what you should be looking to get for your business. Faster checkout times, lower costs, mobilised data and profit-increasing insights are just a few reasons you might make the switch. Despite the very obvious benefits of cloud-based POS systems, many businesses are still yet to cross over. Here are ten reasons why a cloud based POS is the best point of sale syatem in Nigeria. These are the reasons why you need a cloud based POS for your business. That’s right. If you have an internet connection, you have access to all of your data, 24/7. Whether you’re at a meeting, on a business trip, or on holidays somewhere exotic, you can always login to check up on how things are going. This is also extremely useful for other work-related purposes, including allowing staff to work from home or setting up shop temporarily at trade shows or markets. If you’ve ever had trouble monitoring inventory or spent a ridiculous amount of time trying to make inaccurate sales numbers add up, you’ll appreciate the accuracy of cloud-based POS systems. Information is updated instantly, is available in real time, and doesn’t leave as much room for human error as the traditional cash register does. This is especially useful if you’re tracking sales and inventory across multiple locations and need instant centralisation of data. One of the true benefits of this level of accuracy is that it removes a lot of frustration in the workplace, minimising stress for you and your employees and leaving more room for your business to grow. Thanks to everything taking place in the cloud, enhancements and upgrades to your POS system will take place automatically and with no downtime or other inconveniences to your business. This kind of service keeps you at the cutting edge of POS technology and is covered by your monthly subscription cost. The malfunction or breakdown of a traditional POS system may require technicians on site, which you’ll probably have to pay for. On a cloud-based POS system, the technical support team will be able to login and fix problems straight away, which is usually also covered by your monthly subscription fee. We provide full support for all PrognoStore users so you enjoy full benefit and you don't experience downtime in your business. The kind of data available to you on cloud-based POS systems is a lot more sophisticated and compelling than most legacy POS systems. Real time reporting and alerts, as well as the ability to track your most successful products and services and market these to specific demographics are things you can look forward to. Advanced reporting functionality will also allow you to discover existing or emerging sales trends within your business, thus providing more opportunity to grow revenue. Those who have used a traditional POS system will be familiar with the list of costs associated, including software licence fees, as well as fees for training, support, upgrades, yearly maintenance, and cancellation. Cloud-based systems charge a relatively small monthly subscription fee and most will allow you to cancel without paying a large sum. You generally won’t be locked into a contract either. Some other costs you can say goodbye to: IT services required for backups and maintenance and additional custom hardware/software costs. One of the defining features of cloud-based POS systems is the ability to go mobile. This means you can take the register to your customers and complete transactions on mobile devices, including smartphones and tablets. This not only provides a pleasant experience for customers, but also empowers your employees, allowing them more freedom in the workplace and extra time to spend increasing your profits, instead of being stuck behind a checkout counter all day. There is no longer any need to fear a computer crash and the subsequent loss of all the data you haven’t had time to back up. Data is backed up on secure servers online, rather than on a local device on the business premises. Back up is completed automatically by the POS service and the ‘in house’ manual back up process - known to many using traditional systems - won’t be necessary. It’s no secret that traditional POS systems can be slow, clunky, and difficult to use. 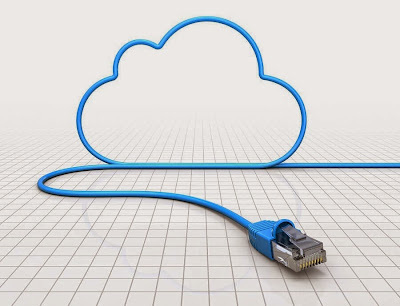 With a good internet connection, cloud-based systems are much faster and make for much smoother transactions. Both customers and employees will be able to feel the difference. Say goodbye to slow checkout lines and mediocre customer service! Cloud-based POS systems are easy to setup and low maintenance. You will not have to purchase special hardware or equipment and your existing devices can be used to access the system online. In addition to this, integration with gift cards and existing loyalty or rewards programs won’t be a problem. If you want to add new functions such as emailing receipts to customers or bill splitting at restaurants, this is all possible too. We offer complete support during setup and on-boarding for all businesses that sign up for PrognoStore; arguably the best point of sale system in Nigeria. PrognoStore as a cloud based POS, is the best point of sale system in Nigeria. Want to know more about PrognoStore? You can read more on how it works and the full benefits your business can enjoy. P.S – Don’t forget that you can still get the free 60 days offer to PrognoStore. Simply go to www.prognostore.com/signup and enter PB60FREE for promo code to get 60 days free. Some POS system models can create sales reports, store purchase information, and also conduct inventory tracking. Some models are used to receive payments online, whether through debit or credit cards, or cash.